PowerGrid Corporation of India’s FPO is an attractive opportunity to own the fast-growing (19% net profit CAGR in FY13-17) near monopoly regulated power utility with stable RoEs (~16% in FY15/16). Whilst 10% equity dilution at Rs90/share was the ideal scenario, the 13% dilution at Rs85 (the lower band of the FPO) would raise enough equity to meet the equity needs up to FY15E/16E capex. The allowed return on equity in 2001-04 and 2004-09 was 16% and 14%, respectively. The CERC increased the regulated RoE to 15.5% + 0.5% incentive for timely completion of the projects. After aggressive bidding in the initial eight tariff-based transmission line projects, the competitive intensity has significantly declined in the last two projects (as demonstrated by the decline in the number of financial bidders to 3 vs 6-8 in the initial eight projects). 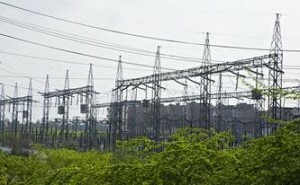 We believe PGCIL would maintain its inter-state transmission monopoly, as the projects awarded under competitive bidding (Rs165bn in the last three years) dwarf in comparison to the regulated FY13-17E capex (of Rs900bn). Further, PGCIL has unmatched competitive advantages for competitive bidding, such as its ability to raise low-cost debt and strong execution skills. PowerGrid is expected to earn an EPS of Rs 9.4, 11.0 and 12.6 for FY 14, FY 15 and FY 16 with a liberal dividend pay out of Rs 3 per year. We advise Value Investors to Subscribe to the IPO / FPO of PowerGrid. How and Where to Subscribe ? Using ASBA Bid in the Retail Individual Investors Category. Why Bid for just 150 Shares ? Because of the New IPO Allocation Policy of Shares as discussed here.